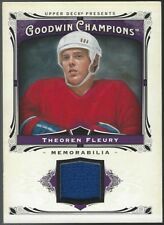 This item is a 2015-16 Upper Deck Canvas Card# C252 of Theoren Fleury. 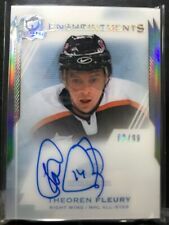 I would rate this card as least NM-MT or better. The edges are terrific, the image is well centered and the corners look good. 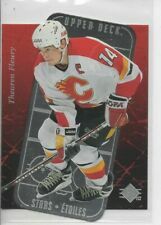 The back of the card is clean. 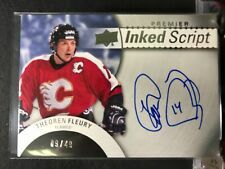 1997-98 MCDONALDS THEOREN FLEURY GAME FILM #F-9 NR-MT.